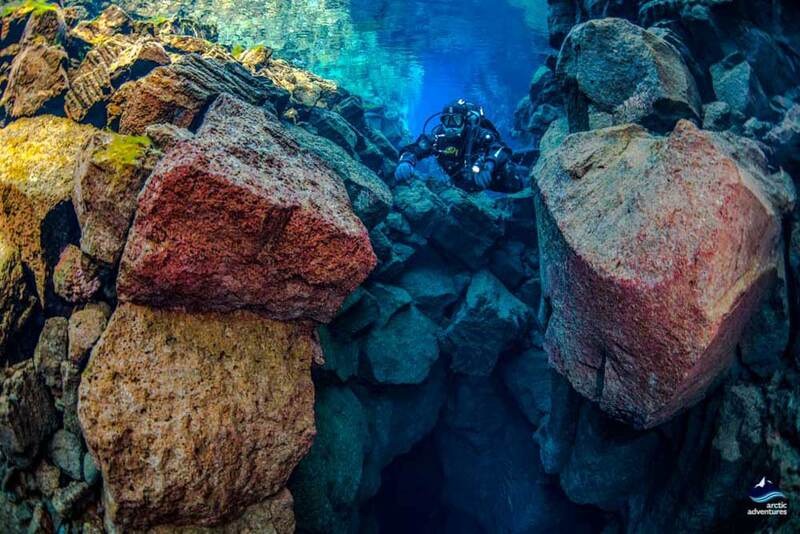 We take you where few diving tours in the world can – into the continental rift between the North American and Eurasian tectonic plates! 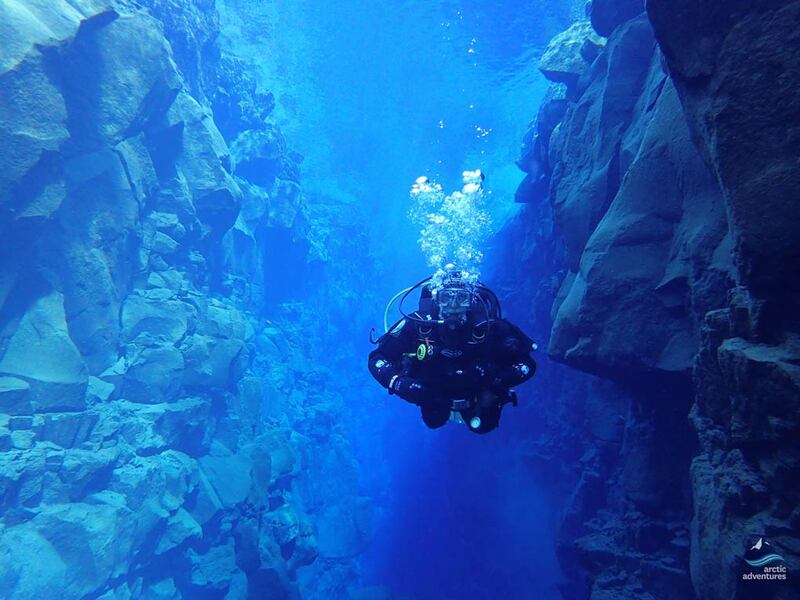 Thingvellir National Park is home to Silfra fissure, an out-of-this-world subaquatic rift. 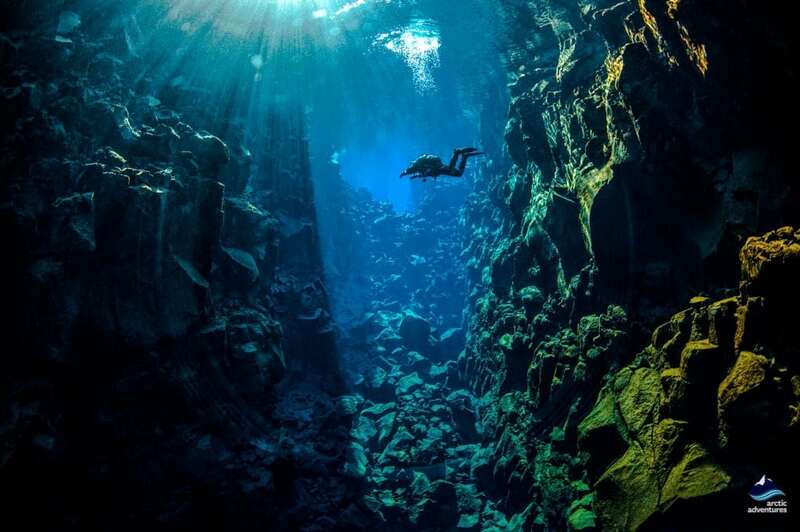 This is without question one of the best dive tours the world has to offer. 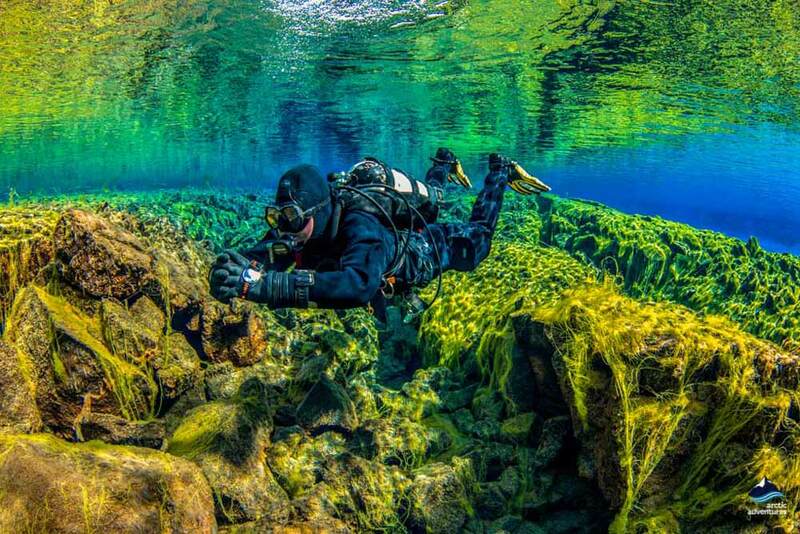 If you are a keen dry suit diver, make sure not to miss it! 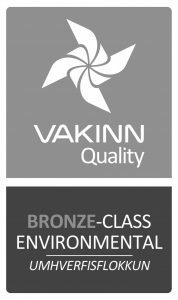 For experienced people in very good shape. 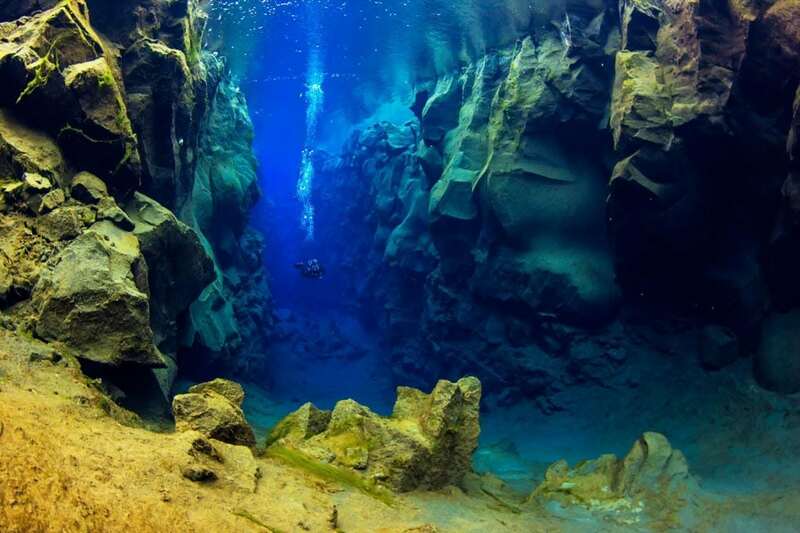 Silfra fissure in Iceland has become widely known in the last few years. 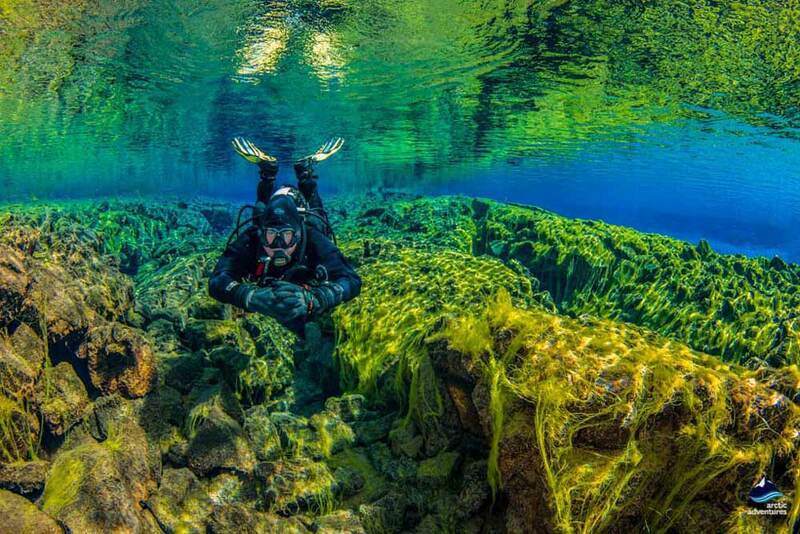 Divers agree that this is one of the best freshwater dive sites in the world. Glacier water from Langjökull glacier that has been filtered through the lava field on its 50 years long journey to the fissure is so clear that the visibility is about 100 meters. 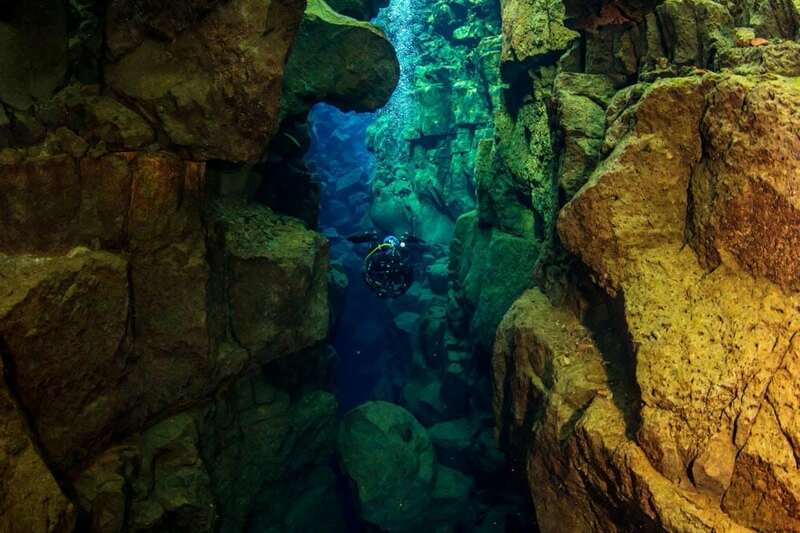 Silfra is divided into four main sections that we will explore during the tour. 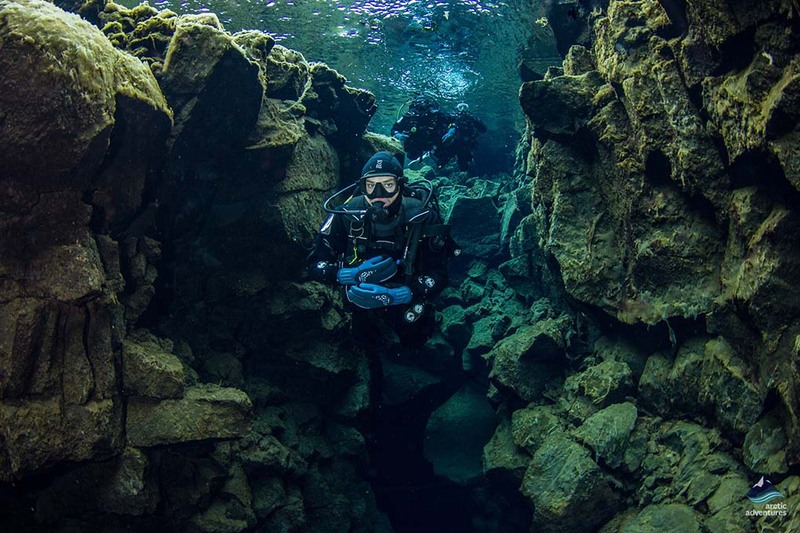 The water in Silfra is at a constant 2-4 degree celsius throughout the year but all seasons have their charm under the surface. 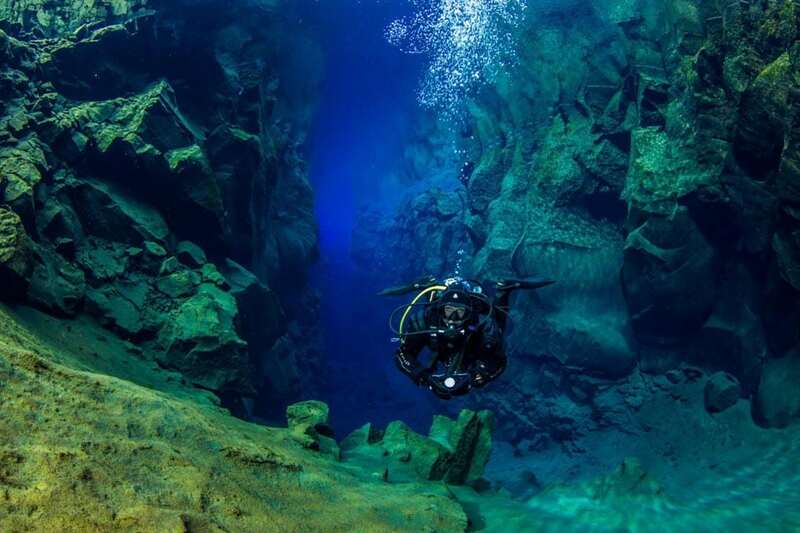 Silfra is situated in the heart of Þingvellir National Park, the founding place of the world’s oldest parliament and a UNESCO world heritage site. 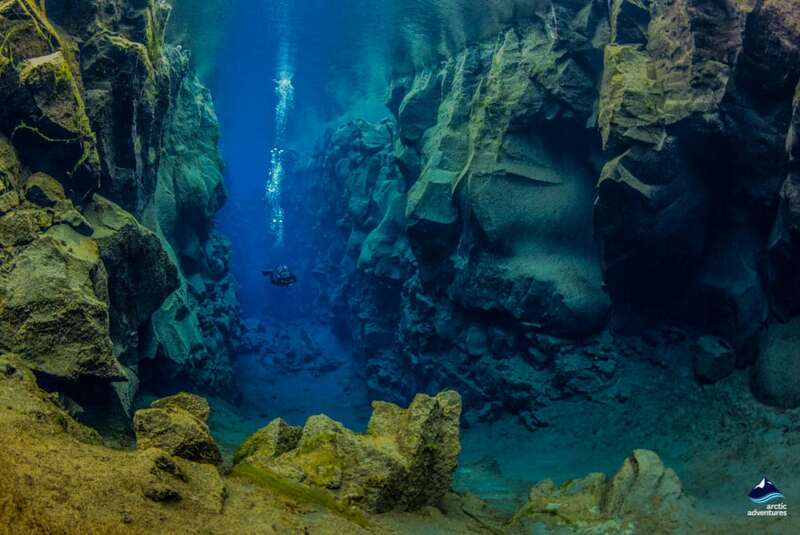 Silfra is an otherworldly scene located in the lava field directly on top of the continental rift valley between America and Europe. 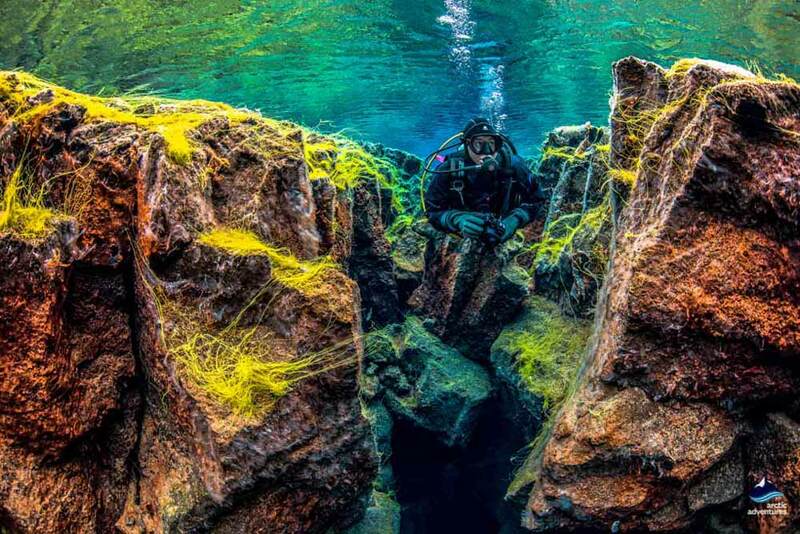 Usually one does not want to be between a rock and a hard place but in the case of Silfra you want nothing more. 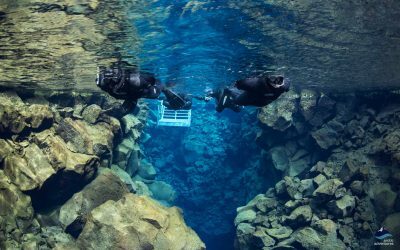 Experience the weightless floating through the clear glacier water going in between the tectonic plates. The slow current gives one a perfect pace to explore this beautiful area. The fresh water visibility is an unmatched specimen, so wide and long that sometimes it is only limited by the density of the water itself. Depth varies from 10 to 40 meters. Our dive depth is limited to 18 meters by park regulations. 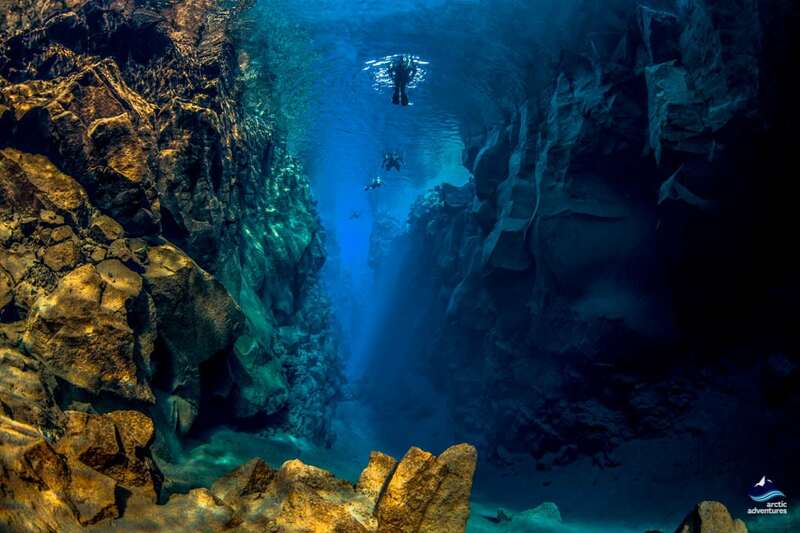 This is without question one of the best dive tours the world has to offer. If you are a keen diver, make sure not to miss it! Be aware that this is a challenging dive where you need to be capable of carrying heavy equipment up to 400m. Pick up starts 90 minutes before your tour from our available Reykjavik pick-up points. Please note, that picking everyone up can take up to 30 minutes so it is important to be ready on time. Dry suit diving experience in form of either Dry suit certification, or a minimum of 10 logged dry suit dives. 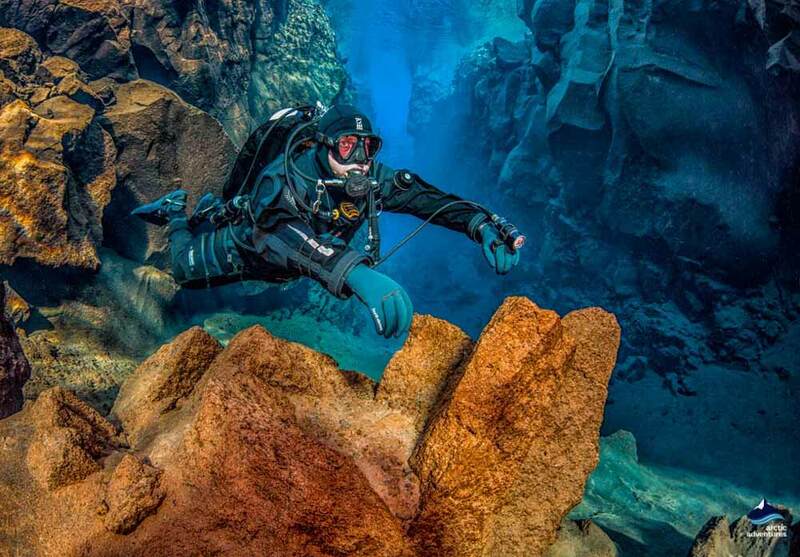 You need to have dived in a dry suit within the last 2 years. Your dive guide will ask you to see proof of your certification or logbook before the tour starts. All divers have to supply their height/weight upon booking to ensure we bring you suitable equipment. For safety reasons all divers need to understand instructions in english and be able to communicate with the dive guide in english. Remember to bring: Proof of dive certification and documented dry suit experience. Warm long underwear (fleece/wool), warm woolen socks, change of clothing (just in case) and a towel. Kindly note: We are using top quality neoprene dry suits. However, no dry suit in the world can be 100% guaranteed to stay dry unless it is custom made especially for you. There is a small chance of water entering the suit. Please bring a spare set of clothes just in case. 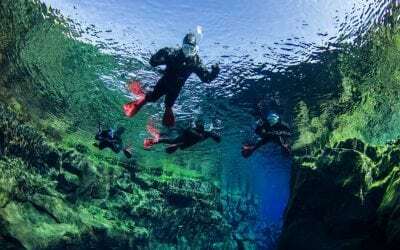 Please contact our sales department for further information or if you want to add a Dry Suit Speciality course you can take the 2-DAY DRY SUIT SPECIALTY COURSE & DIVING IN SILFRA for 95.990 ISK. Available from May-October. Need glasses? 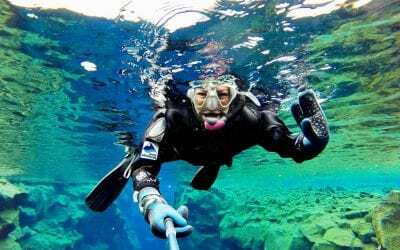 Since you are wearing a snorkeling/dive mask to see underwater, there can be nothing in the way of the seal to keep them from filling up with water. That is, you can not wear glasses underneath the mask. You will have to go without them, wear contact lenses or bring your own goggles with prescription. 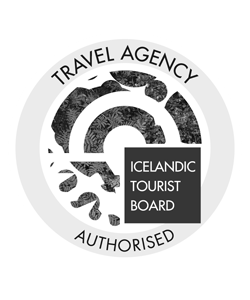 Winter departures: If the air temperature falls below -0°C there is a possibility that the divemaster will change the tour into just one dive due to safety reasons. Flying home? It is strongly advised to wait a minimum of 24 hours after you last dive before getting on a flight. 18 hours is the absolute minimum. 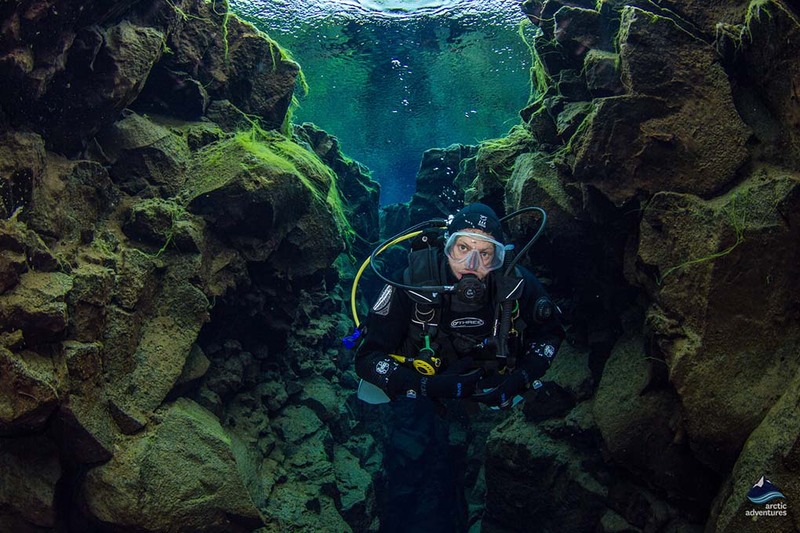 Directions: If you are meeting us on location, the meeting point is Silfra car park in Thingvellir National Park. 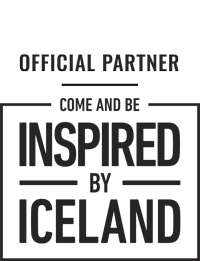 Click here for driving directions to where you can park your car (parking “Thingvellir P5”). To meet your guide: Walk 400m back along the road until you reach a smaller car park with all the snorkel and dive vans, and look for your guide. 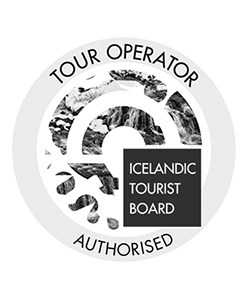 Please be ready in the Silfra car park to meet your guide 15 MINUTES before your tour is due to begin. The National park charges a small parking fee of 500 ISK for those that choose to meet on location. 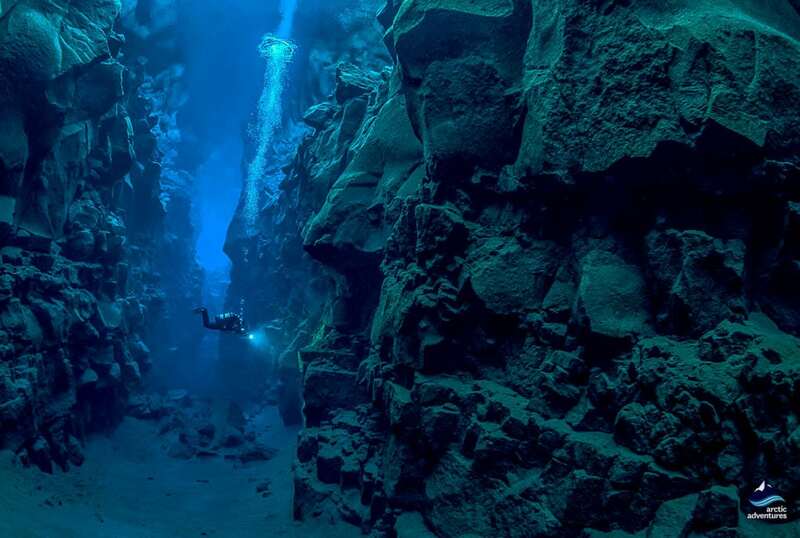 This is a challenging dive where you need to be capable of carrying heavy equipment up to 400m. 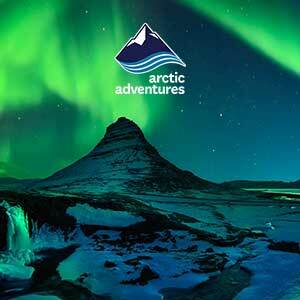 I signed up for diving in Silfra with Artic Adventures and I couldn’t be more happy. They were very fast with responding to my questions and super helpful along the way. My divemasters, Mark and Hodei were so friendly, knowledgeable and super fun. I had a smile on my face the entire time (especially after my face went numb) and would recommend anyone to these guys. I can’t thank Mark and Hodei enough and good luck with your scuba travels and adventures! 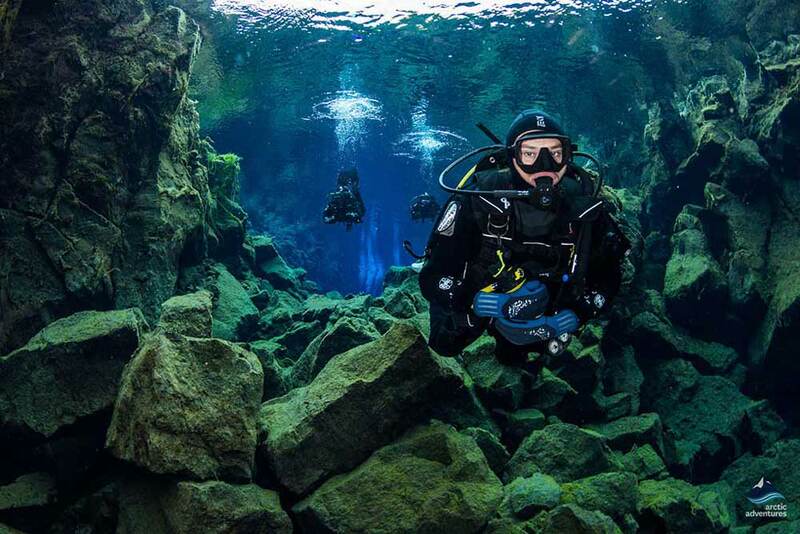 Brilliant day out scuba diving in thingvellir. Great instructors and fantastic trip. When we realised we left our camera behind they went to great effort to find it and the bus driver was kind enough to bring it back to our apartment after he was finished his drops. Great day before and after, we’d all highly recommend them!